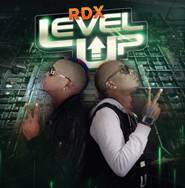 RDX, Apt. 19 Music and team Shellaposse would like to extend a big thank you to all the media houses, artistes’, special guests and fans that came out to support the RDX Level up Album Showcase held at 100 Hope Road on Wednesday. A special thank you also goes out to our guest speaker, the Minister of Health Dr Christopher Tufton, who alongside our Hosts, DJ and artiste performers made this event a success. The support was appreciated and did not go unnoticed; we will continue the journey of promoting the ‘Level Up’ album that is available now on all major digital platforms.